Investigating the theory that certain natural earth-energies were detectable by prehistoric humans and utilised in ways that are essentially lost to us in a modern technological setting. It is generally accepted that the large number of megaliths around the ancient world were constructed as part of a cultural expression, both lending identity to the human species and connecting it to the natural world. They have been speculated as being built as meeting places, defensive structures, for funerary purpose and for worshiping the earth mother. The tradition of megalithic building can now be traced back to at least 8,000 BC (see Gobekli Tepe), and probably peaked sometime in the 4th millennium, but we still have little, if no idea, what it was that originally led the builders to begin constructing the vast numbers of fantastic megalithic structures, of which only the smallest percentage remain today. One of the most obvious fingerprints of human activity, from around the ancient world and into the present day, is a natural tendency towards designing buildings in geometric patterns. Something which in its simplest form consists of the construction of an alignment of man-made and/or natural features on the landscape, perhaps offering us the simplest definition of what is loosely termed today a 'Ley-line'. Along with this 'linear mentality', it also appears that there a clear preference to build the megaliths with quartzite, along with many of them being built in places of what might be best termed as 'abnormal' natural background energies. Perhaps it is time to explore the idea that there was another reason for their construction, apart from those mentioned above. The concept of 'earth chakras' is nothing new, with whole mountain ranges being recognised as being physically connected by mandala's of oriental temples built into the living landscape. Something which appears almost alien to the modern western mind. However, the prehistoric European landscape was similarly interconnected by networks of geometric alignments, somewhat akin to the oriental and pre-columbian concept of landscape alignments. The art/science of Geodesy appears to have been practiced at the highest levels in prehistory, with evidence still present from around the ancient world suggesting that the most sacred/important ancient sites were placed at positions with relevant geodetic latitudes/longitudes. Animal and Human Sensitivity to earth-energies. The earth’s natural electromagnetic field has a frequency measured as about 7.8 HZ or Hertz. This is the well known and documented Schumann Resonance measured daily in seismology laboratories. There is much concern now among scientists about the damage caused by civilization’s pollution of the earth. There is also monitoring of the normally occurring changes in the universe. Before the invention of electricity, people lived in harmony with the earth and her daily and seasonal cycles. Technology advances have added tremendous levels of electromagnetic energy millions of times higher than before … microwaves, x-rays, cell phones, television, radio frequencies, high tension wires, etc. Dr. Robert Becker is a world renowned expert on electromagnetic fields (EMF). He said, “At the present time, the greatest polluting element in the earth’s environment is the proliferation of EMF’s.” In addition the energy field of the earth interacts with the energy fields of other planets and constellations. Those changes then reflect on the energy fields of living bodies including humans. The energy fields then as the interface connect all living matter … humans, plant, animal, and the earth. While it is commonly accepted that animals can be used as earthquake predictors, the case for human predictors is not on such strong ground. Interesting however to note that those people who do attest to such powers, say that the physical effects include, dizziness, headaches, blurred vision, strange dreams and even visions, all symptoms of the altered state achieved by the shaman. While there are numerous examples of humans apparently 'predicting' earthquakes through abnormal behaviour, the subject still remains beyond the scope of mainstream science, as it is not a field within which the right level of accuracy can be demonstrated. However, there appear to be sufficient accounts of physiological and psychological effects before earthquakes that the phenomenon merits an attempt at a rational explanation. Prof. H. Tributsch, in his book (5) offers what is probably the most plausible to date. European researchers had noticed as early as 1928 that the ion content of the air had a direct influence on the well-being of humans, and in the ensuing decades scientists tried to follow up on-the effects of airborne ions on biological processes. By 1958, more than 300 works had been published on the subject, although the results were often rejected by the general scientific community. By now there is a convincing body of evidence that small ions in the air have a pervasive effect on the concentration of the nerve hormone serotonin in the lower middle brain. Serotonin affects metabolic processes, the transmission of nerve impulses, sleep and the development of moods. Article: Dowsing: A Review of Experimental Research. While there exists a vast catalogue of reports and stories of people who claim to have been dowsers, the simple (somewhat disappointing) fact is that as yet there is no single academic study substantiating the practice of dowsing, leaving the field of study without scientific substance. As anecdotal evidence itself does not constitute rigorous scientific proof of the effectiveness of dowsing, it remains for now an area of interest, but without champions. However, the lack of stringent scientific evidence does not detract from the numerous reports worldwide of the existence of people who profess to be sensitive to sensing earth energies. In itself, this is something that should not be ignored, as there has been some enlightening research into the human response to low-level electromagnetic frequencies (EMF), and our recognition of any relationship with this energy field is perhaps the first spark of understanding in this difficult field of research. It has long been known, that many animals including the catfish, shark, and platypus have specialized electroreceptor cells that are evolutionarily conditioned to detect such EMFs by means of sensory transduction. 'Detection can be prevented in catfish by means of blocking antibodies'. (9) Although there is positive evidence that humans do have some ability to detect weak electromagnetic fields, in the same way that other animals are able to, it is far too early to conclude that this sensitivity can be used to detect underground water. However, in relation to the above report, and perhaps more relevant today, humanity is still surrounding itself with more and more household gadgets raising our artificial background EMF levels to their highest ever. While we may not recognise the symptoms for what they are yet, we are being saturated by artificial EMF in an unprecedented way. Something that any future experimentation must also take into account. Between 1858 and 1867, Lord Kelvin developed a water-drop electrostatic generator, which he called the "water-dropping condenser”. It was sometimes referred to as “Kelvin’s Thunderstorm”. The device uses falling water drops to generate voltage. Water runs down from the top, with slightly positively-charged water attracted to the negative ring and slightly negative water attracted to the positive ring. The charged water flows through the ring and into a container. When the charge eventually reaches a certain threshold, a spark will cross the gab between the rings. Lord Kelvin water droppers have been known to build a 20,000 volt charge with as few as 100 drops of water through each side in less than six seconds. That’s without any external power source – simply utilising the energy of the falling water drops. As you can see, electrostatic generators can be made to be very powerful. 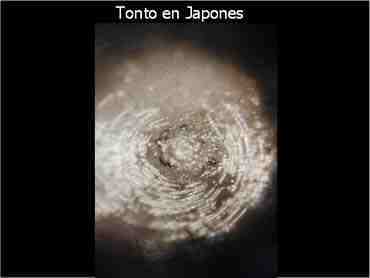 The energy produced here ultimately comes from the gravitational energy released by letting the water drops fall. 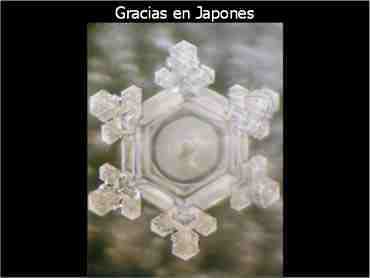 The Experiments of Dr. Masaru Emoto. Masaru Emoto, a researcher and alternative healer from Japan has given the world a good deal of evidence of the magic of positive thinking. He became famous when his water molecule experiments featured in the 2004 film, What The Bleep Do We Know?. His experiments demonstrate that human thoughts and intentions can alter physical reality, in this case the molecular structure of water. Given that humans are comprised of at least 60% water, his discovery has far reaching implications. The following two experiments were performed by Dr. Emoto, which he says demonstrate the metaphysical reality of positive thinking. Water crystals following positive thoughts (left), and following negative thoughts (right). Article: 'Experiment to find out if Human Emotions affect the Earth and Natural Disasters'. 'American research organisation HeartMath initiated the project to test the hypothesis that “mass human emotion, whether positive or negative, has a measurable influence on the Earth’s energetic field”.The experiment is called the Global Coherence Monitoring System (GCMS) project, and sensors have already been installed in the US, Saudi Arabia, Canada and England, and three more are due to be installed in New Zealand, Brazil and South Africa.There will be a magnetometer sensor installed on the East Coast of the South Island, and coordinator of the GCMS project Rollin McCraty says the site will be tested this month. “We’re measuring the heart rhythms and brain waves of the planet. We’re wanting to get a global view of what the energetic activity of the planet is from a whole perspective.” He says the project is based on the theory that human emotions can affect the Earth’s magnetic field. “There’s already… overwhelming evidence that mass emotionality - when something happens that triggers a lot of people feeling similar ways at the same time - that that can affect the global field environment.” He claims that during the terrorist attacks of September 11, 2001, magnetometers measured an effect on the Earth’s magnetic field'. 3). Allen, C. "The Role of Animal Behavior in the Chinese Earthquake Prediction Program." In Abnormal Animal Behavior Prior to Earthquakes. J.F. Evernden (ed. ), National Earthquake Hazards Reduction Program, USGS, Menlo Park, CA, 23-24, September 1976, pp. 5-13. 5). Prof. H. Tributsch. When the Snakes Awake. 1982. M .W. Books. 7). John Burke and Kaj Halberg. Understanding the Lost Technology of the Ancient Megalith Builders. Dowsing: A Review of Experimental Research.